As the scheme progressed, Ms. Jones, who was legally blind and lived alone in a two-story house in Moss Bluff, La., depleted her savings, took out a reverse mortgage and cashed in a life insurance policy. She didn’t tell her family, not even the sister who lived next door. Scammers often push victims to keep promised winnings a secret, says an investigator who helped unravel this sinister effort to exploit an 82-year-old woman. Her family didn’t realize something was wrong until she started asking to borrow money, a first for a woman they admired for her financial independence. But by then it was too late, says Angela Stancik, one of Ms. Jones’s granddaughters. Ms. Jones had lost all of her life savings — hundreds of thousands of dollars. About one week after calling Ms. Stancik at the family business in Ganado, Texas, to borrow $6,000, Ms. Jones committed suicide. That was May 4, 2010. 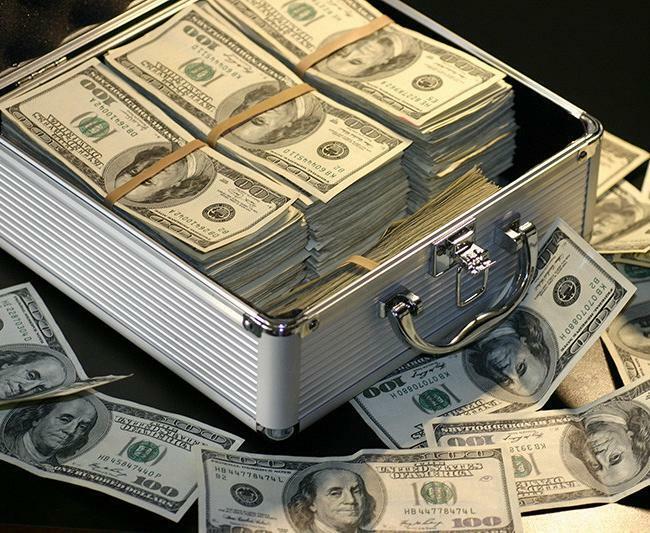 When family members went to her home, they found a caller-ID list filled with numbers they didn’t recognize and three bags of wire transfer receipts in her closet. Ms. Jones had $69 left in her bank account. 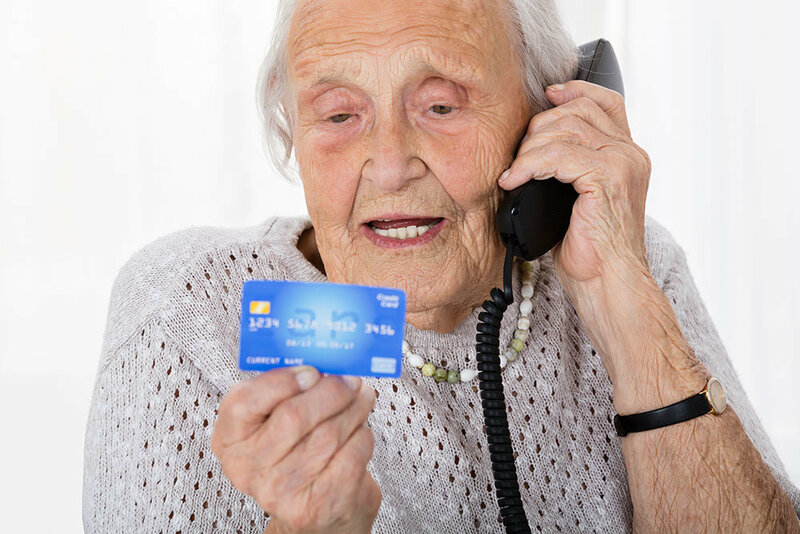 Some 5 million older Americans are financially exploited every year by scammers like the ones who targeted Ms. Jones. The elderly are also suffering at the hands of greedy, desperate or drug-addicted relatives and friends, among others. The total number of victims is increasing as baby boomers retire and their ability to manage trillions of dollars in personal assets diminishes. One financial services firm estimates seniors lose as much as $36.5 billion a year. But assessments like that are “grossly underestimated,” according to a 2016 study by New York State’s Office of Children and Family Services. For every case reported to authorities, as many as 44 are not. The study found losses in New York alone could be as high as $1.5 billion. The U.S. Centers for Disease Control and Prevention drew attention to elder exploitation as a public health problem in a 2016 report, citing groundbreaking research two decades earlier by Mark Lachs. Now co-chief of the Division of Geriatrics and Palliative Medicine at Weill Cornell Medicine and New York-Presbyterian Hospital, Mr. Lachs says elder abuse victims — including those who suffer financial exploitation — die at a rate three times faster than those who haven’t been abused. It’s a “public health crisis,” he warns. Bente Kongsore, a retired accountant in Creswell, Ore., says her parents’ mental and physical decline accelerated after an assistant manager at a local bank, Susan Paiz, befriended the octogenarians and subsequently stole $100,000 from them in 2014. To hide the theft, Ms. Paiz pretended Ms. Kongsore’s father, who had been diagnosed with Alzheimer’s at age 85, gave her the money. The lie soured the last two years the couple had together, as Ms. Kongsore’s father questioned himself and his wife questioned him. “It was a total violation of the type of feelings we would want to share with each other at the end of their lives,” Ms. Kongsore says. By 2016, her mother had become bedridden, eventually dying in June of that year. Ms. Kongsore’s father died in December 2017, just weeks before Ms. Paiz was sentenced to 10 months in jail. Ms. Paiz was caught and convicted thanks to a dogged detective in Bellevue and the King County prosecutor’s office in Seattle, which had established an elder abuse unit in 2001. Adding insult to injury, the bank where Ms. Paiz worked, Union Bank in Bellevue, didn’t return the money until Ms. Kongsore scanned and emailed a bank investigator an incriminating letter Ms. Paiz wrote her parents, Ms. Kongsore says. She adds that the bank still hasn’t formally apologized. Union Bank didn’t immediately respond to requests for comment. Ms. Paiz couldn’t be immediately reached. In many cases, it may appear the victim gave consent, but it’s often based on manipulation or deception. Like Ms. Kongsore’s father, victims often “have some level of cognitive impairment, which makes it really difficult for them to figure out the truth of what’s going on,” Ms. Ulrey says. As a result, many of her cases hinge on showing incapacity. “Obviously, you have the right to give your money to who you want, even if your family disapproves,” Ms. Ulrey says. But when you suffer from dementia, you may no longer have the ability to judge whether another person has your best interests at heart, or to understand the consequences of your decisions. But capacity assessment by adult protective services investigators and police is uneven across the country. “Law enforcement doesn’t have good tools to assess capacity,” Ms. Ulrey says, adding that most jurisdictions lack people who can conduct thorough evaluations. In 2015, Weill Cornell’s Mr. Lachs coined the term “Age-Associated Financial Vulnerability,” or AAFV, to sound the alarm. He defined it as a “pattern of imprudent financial decision-making that begins at a late age and puts older adults at risk for material losses that could decimate their quality of life.” Financial judgment can start to falter before normal cognition does, Mr. Lachs says, regardless of whether the person was savvy with money when they were younger. In other words, it can happen even when the person seems normal. Despite the severity of the problem, the federal government’s response has been frustrating, according to practitioners and public officials. Joe Snyder, who served as director of older adult protective services at the Philadelphia Corporation for Aging, says he’s doubtful necessary funding will arrive in his lifetime. Before he retired, he oversaw 27 investigators with limited resources handling about 3,500 cases a year. Mr. Snyder says it was like using water pistols to fight a forest fire. The Elder Justice Act, the first comprehensive legislation to address abuse of senior citizens, was enacted in 2010 but remained unfunded until 2015 — when it was allocated only $4 million. “Dollars appropriated since then have, in congressional terms, been dribbling,” says Marie-Therese Connolly, a former Justice Department attorney who championed the law, working with the Senate Special Committee on Aging. Originally, the allocation was to be closer to $1 billion, she says. “Financial exploitation causes large economic losses for businesses, families, elders and government programs, and increases reliance on federal health care programs,” warned a 2014 elder justice report Ms. Connolly helped prepare. The dragnet, which lasted one year, is part of an ongoing effort “to detect and infiltrate these criminal organizations that are trying to exploit the elderly,” says Antoinette Bacon, a career prosecutor who serves as the DOJ’s national elder justice coordinator. Her position was created through the Elder Justice Prevention and Prosecution Act, a law signed by President Donald Trump in October meant to improve coordination among federal, state and local agencies. States have been stepping up as well. Thirty-nine of them and the District of Columbia addressed financial exploitation of the elderly in last year’s legislative sessions, according to the National Conference of State Legislatures. More than half enacted legislation or adopted resolutions. Finra now requires members to try to obtain a trusted contact’s information so they can discuss account activity. It also permits firms to place temporary holds on disbursements if exploitation is suspected. Ms. Loewy, who left her job as a prosecutor in 2014 to join EverSafe, a startup that makes software to monitor suspicious account activity, is underwhelmed by the industry projects. “We’re going to come to a place where we’re seeing a lot of homeless elderly people,” Ms. Loewy added. The dirty little secret about elder exploitation is that almost 60% of cases involve a perpetrator who is a family member, according to a 2014 study by Mr. Lachs and others, an especially fraught situation where victims are often unwilling, or unable, to seek justice. Such manipulation sometimes involves force or the threat of force, says Daniel Reingold, chief executive officer of RiverSpring Health, a nonprofit that provides care to about 18,000 seniors in the New York City area. In 2005, he helped establish the first elder abuse shelter in the country. Mr. Marshall wanted his grandmother, famed socialite Brooke Astor, to enjoy her final years at her country home, as she had wished. When his father, Anthony Marshall, wouldn’t let her, Philip Marshall sought guardianship, setting off a legal battle. As the fight progressed, Philip Marshall says he discovered that his grandmother, who had been diagnosed with Alzheimer’s, was enduring various forms of neglect. It was “all in an effort by my father to gain her money,” he alleges. The dispute culminated in his father’s conviction and prison sentence in 2009 for siphoning off millions of dollars from Ms. Astor. At first, says Philip Marshall, “Our goal was just to stop my grandmother’s isolation and manipulation. We didn’t really care about money.” A separate legal proceeding over the neglect allegations was eventually resolved. Last year, Philip Marshall quit his job as a professor to become a full-time advocate in the fight against elder abuse. He gives talks to government officials and financial institutions and spends hours speaking with strangers dealing with exploitation. On a rainy April afternoon at the Harry and Jeanette Weinberg Center for Elder Justice, the shelter Mr. Reingold helped start in the Bronx, there are countless versions of Ms. Astor’s story unfolding daily, albeit for smaller sums. More than 70% of the center’s clients are victims of financial abuse, with most also suffering from emotional and physical abuse as well. “It’s often a slow and steady and unrelenting experience,” says Joy Solomon, a former New York prosecutor and director of the center. She says her team is seeing an increase in seniors showing up in housing court — because they’re being evicted. “A lot have been financially exploited and they don’t even know what’s happening until they get that notice,” she says.